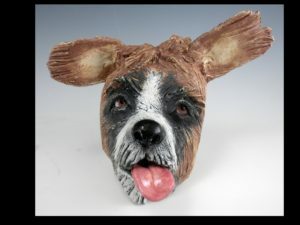 This class will be a fun hands-on exploration of faces, human or animal and as representational or as whimsical as you like! The first day of class will be spent working in wet clay. Jane will discuss basic anatomy and proportions and will demonstrate slab building and modeling techniques. The pieces will be bisque fired and students will return for a half day class to apply the final surface color. 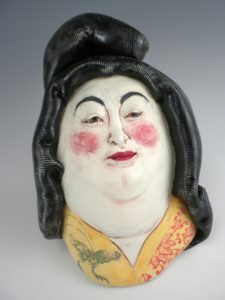 Underglazes will be used as stains and washes similar to watercolor. The pieces will be glaze fired and ready for pick up after the workshop. 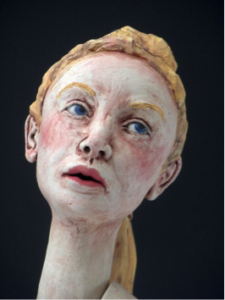 Jane Kelsey-Mapel is an Arizona artist known for her narrative ceramic figure sculptures. She holds a bachelor's degree in Art from Arizona State University and a master's degree in Ceramics from the University of North Texas. Her work is held in numerous public and private collections and has been featured in U.S. and international publications. May 11: 10:00 am - 4:00 pm May 18: 9:00 - 11:00 a.m.